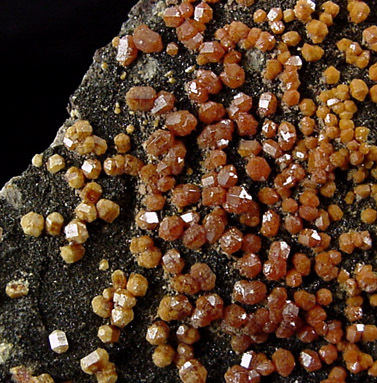 Description: Old-time specimen of red-orange vanadinite crystals on matrix of black micro crystals (mottramite? 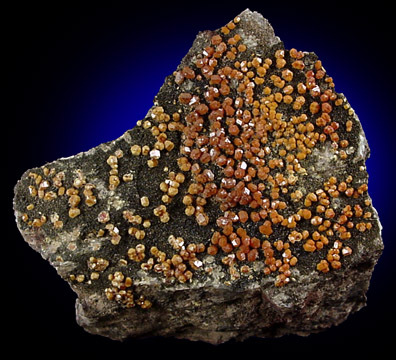 descloizite?). 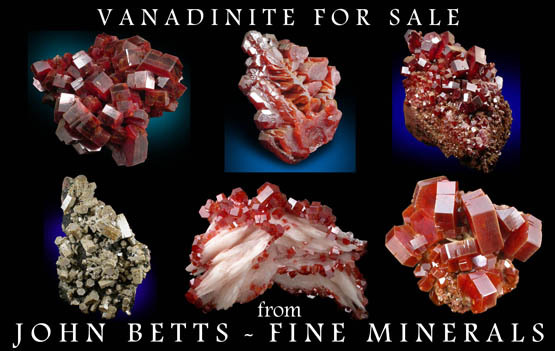 The contrast of the vanadinite against the dark matrix is very attractive.